The study took an in-depth look at Senior Corps, a network of national service programs that is similar to its more well-known sibling, AmeriCorps -- only it's for people 55 and up. They volunteer in the group’s Senior Companion and Foster Grandparent programs, helping senior citizens and tutoring at-risk youth. According to the report, a staggering 78 percent of those who reported depression symptoms said they felt less depressed two years later. Program Director Cathie Schroder said volunteering can also mend feelings of isolation. “We have a huge problem in the United States with social isolation in the senior population and this allows seniors to get out and have that connection in the community,” said Schroder. There are more than 300 Senior Corps volunteers at 96 locations in Tampa. According to CNCS, volunteer services in Tampa have an estimated worth of $1.6 billion. As a whole, approximately 8,000 Florida residents serve through Senior Corps, donating 2.2 million hours of their time each year. Schroder said these volunteers are not only improving their well-being, but tackling important regional issues such as assisting in academic mentoring, disaster relief and elderly care. 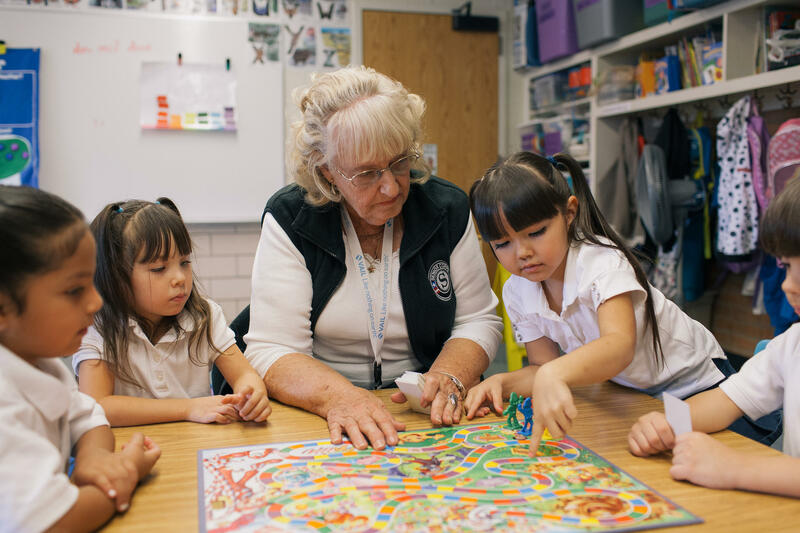 Despite the benefits that volunteering provides, many older adults are unable to serve their community due to low-income or lower education levels. Schroder has seen how volunteering has grown to better help those in need. “We’ve been around for 35 years and our community has grown in the sense that these volunteers have allowed frail elderly seniors to live in their home and continue to age in their home, which cuts down the cost for those families,” said Schroder.